Kevin Wilson is very knowledgeable and I liked dealing with his company. My only complaint is that I have left a few phone messages that were not returned. 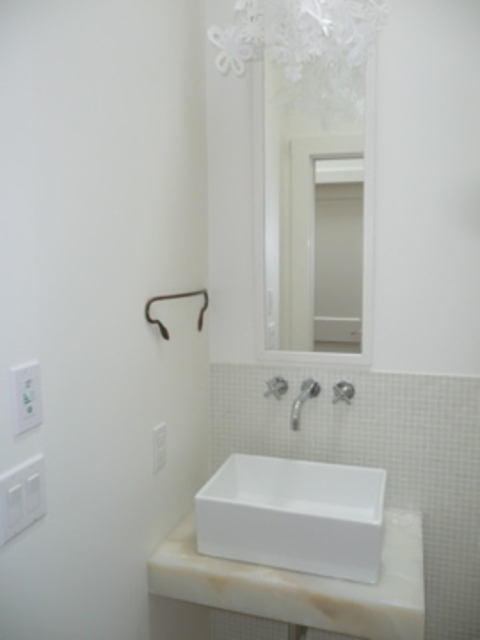 The mirrors look great and the pricing and installation were very good. Everything was done as they said it would be. phil from breakaway installed our pre purchased and pre stained siding in november of 2008. i was very happy with the crew and the job that they did. the following spring, where the siding that had been caulked in a board- and - batten style, the wood had shrunk and the caulking was up to and inch away from where it was supposed to be. phil assured us that this would be corrected. at the same time, the summer of 2009, we engaged phil to excavate our front yard. we were very clear that we had a very limited budget for this project and needed as close to an exact price as possible. he gave us a price of $2500 which we then clarified on numerous occasions to be the complete cost. he assured that it would be. during the job, one of his excavators cut our external conduit off of the wall. he assured us he would fix this. we paid his bill of 2500 on completion but then recieved a bill from his trucker for $1300 for trucking services. 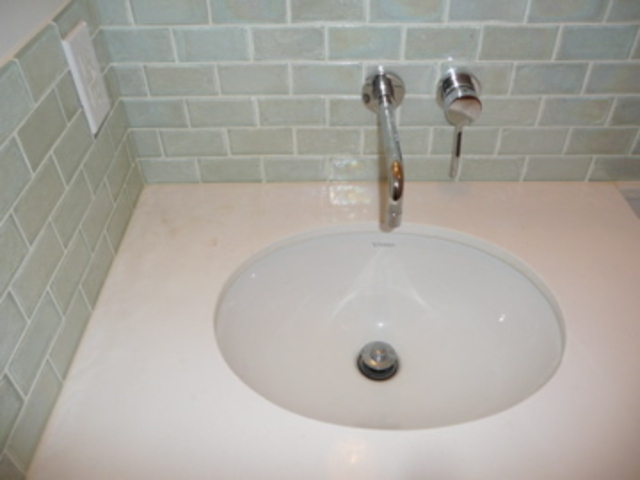 our understanding was that the 2500 included all fees that were necessary to complete the job. we refused to pay the bill, resulting in the trucker putting a lean on our house. we negotiated with phil and offered to pay half of the bill if he would fix the siding issue and repair the broken conduit. he verbally agreed to do this. he was supposed to come over to the house but we have never heard from or seen him since. it has been at least eight months since we last spoke. i really like phil and feel that he is a good man but wish that our job was handled differently and had a diffenent outcome. I have sent friends to work with Nazi,and have made my own purchases and I have been happy in all instances.The knowledge and service have been excellent.I recently bought cork flooring for my excercise room. They offer good pricing and supply quickly. My friend was very happy with their installer for the hardwood they purchased at Edgemont flooring. at save more plumbing, i worked with naaz. i took a year to educate myself about plumbing products before we built. i talked to naaz many times and i found her to be invaluable. she was always proffessional and pleasant. the only reason that i did not use them for my full house install was because my contractor at that time only dealt with another company. their prices are excellent and they have a good selection - most importantly naaz was very good about lettting me know about products that were available that were not on the showroom floor. Hello Susan, We are glad that you enjoyed working with Naaz. We truly appreciate our staff. Thank you very much for taking the time out writing this review with such kind words. We hope to see you again and would love to work with you. as this was a whole house installation, including radiant heat, i would have expected a higher level of plumbing knowledge. our pvc pipes (which i regret) were installed in such way as to forever impact our water use at the sinks. 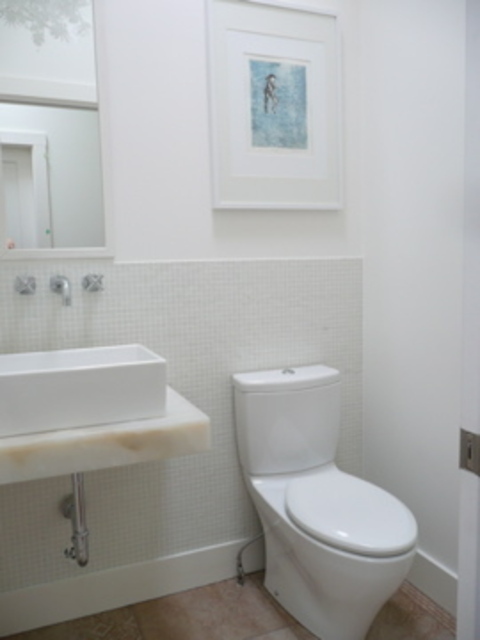 the cold water pipes were placed immediately beside the radiant heating. we never have cold water coming from our faucets except in summer when the heating is turned off. i find it amazing that a plumber would make such a mistake as this. he was not very professional and i found him unpleasant to communicate with. his attitude whilst working here was not great, i felt that he had absolutely no care for my home or the finished product. 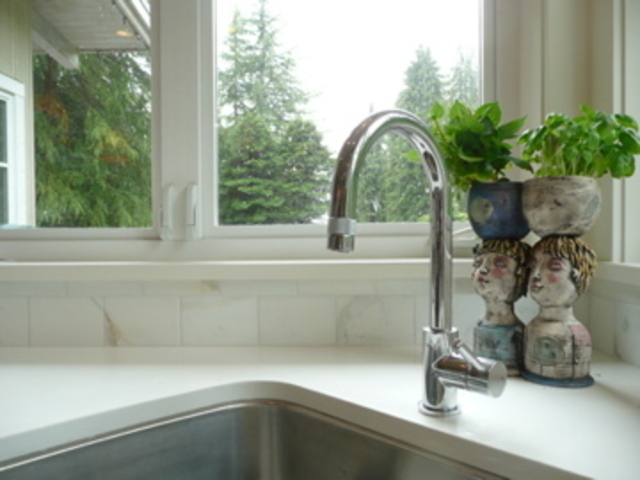 we paid him upfront for a start to finish price per water line hook up, and i feel that he did not complete the job - hooking up faucets and appliances to water lines. he claimed after the fact that this was not included. we did not have him back to finish our hookups. i originally dealt with daryl who is no longer there and have since dealt with patricia macmillan who has been very helpful. my experience with them was that they were excellent on every level. they had such a wealth of knowledge and were so very patient with me. through my own error i had ordered sinks that didn't fit and on the spot she helped me find two sinks that were excellent replacements at the same price point within moments. their effieciency really impressed me. 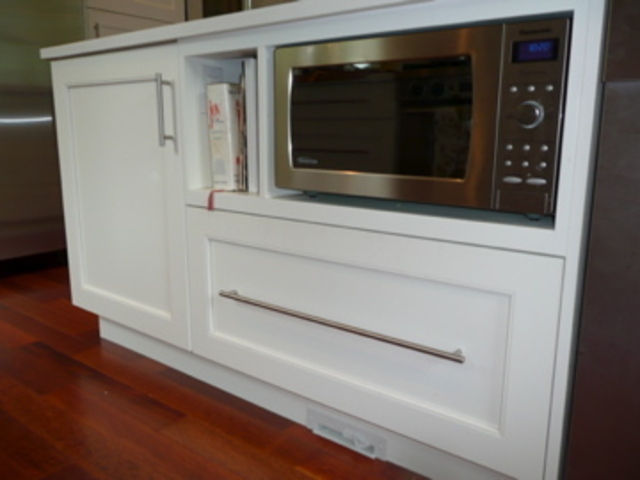 greg olma custom built all of our kitchen cabinetry boxes. 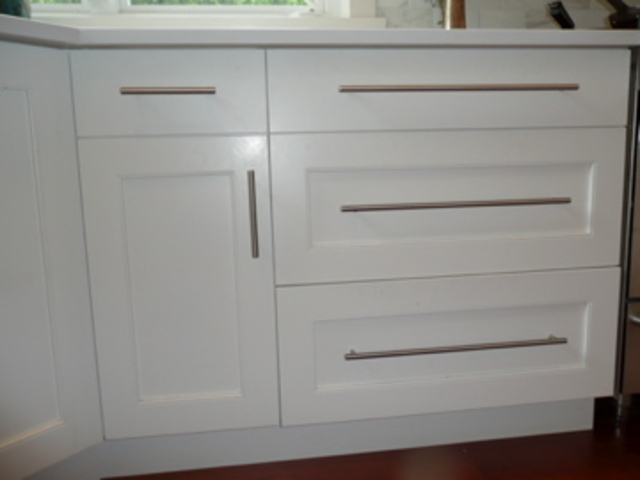 he built and installed the cabinets. 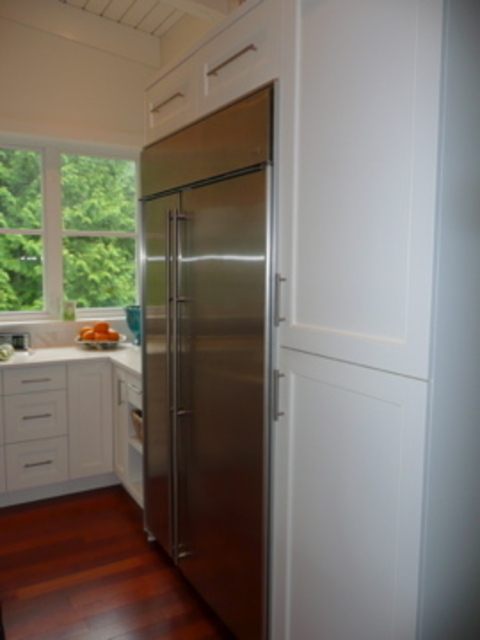 the interiors are beautiful and overall we feel that our cabinets were built by a master craftsman. 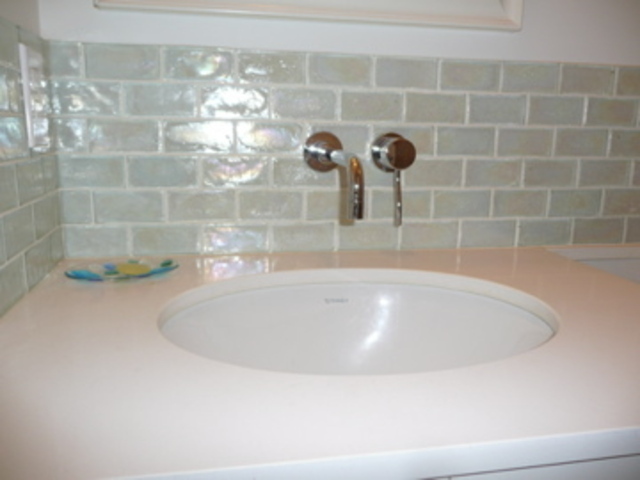 he is very detail oriented and worked with us on all of our design requirements. he has his own spray facility. i think that it is very important to carefully review final drawings before going ahead with a project as we incurred extra cost because a few items were not clear to us. range, hood, dishwasher, fridge. The customer service was helpful but the issues we had after purchase were not handled by Coast Wholesale. We purchased a 48" Jenn-air fridge which has had recurrent, identical problems.I would never recommend this fridge. We have lost all of the contents of this fridge twice. Coast Appliances sent us to another company for the repairs and I felt handed off. I would suggest that a consumer find a retailer that handles the after care of the appliances and deals with the manufacturer. I thought that the selection and prices were good and the salesperson was very helpful.I am very happy with my 5-Star range and Miele dishwasher. Be mindful of the measurements of your appliances and be specific about your delivery expectations regarding stairs and doorways.